For the first time in sri lanka, introducing the revolutionary innovative product to the world art of tea where you can taste a sweet cup of tea without adding sugar. We are proudly presenting this product which does not content any type of artificialflavors or preservatives to bring you a 100% natural cup with a combination of pure ceylon tea and pure ceylon cinnamon. 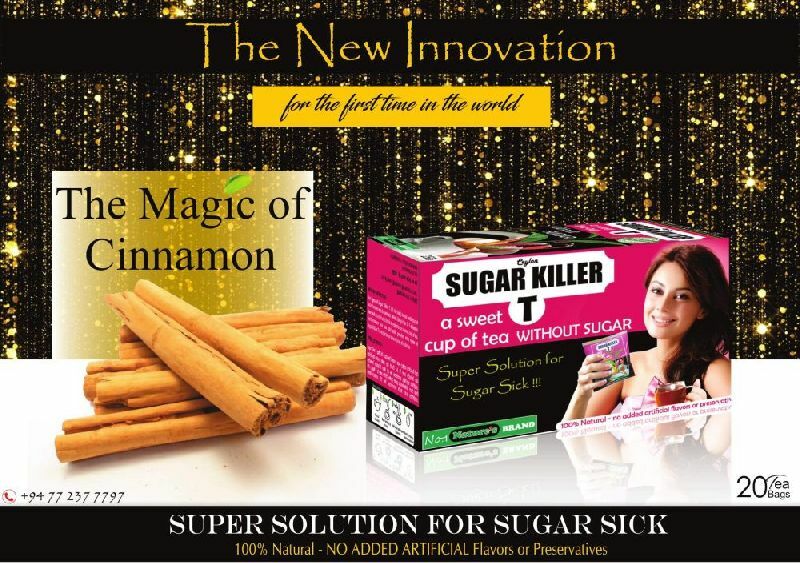 We are presenting this healthy drink in order to give you a refreshing cup which we introducing as Sugar Killer this 100% natural drink will contents a refreshing sweetness without adding any kind of sugar for you to experience a hot cup of sugar killer t in order to prevent from all type of illnesses.